Deepest Discounts of the Year: Hurry! A limited number of Season Passes are available at each price point. Looking for Tickets, instead? Click here. Perfect for Adventurers Ages 11+ who want to Climb & Swing. This season pass will gain adventurers season-long access to the Blue Ridge Course, Foothills Course, and Ninja Ground Course with 2 Giant Swing rides included per visit*. 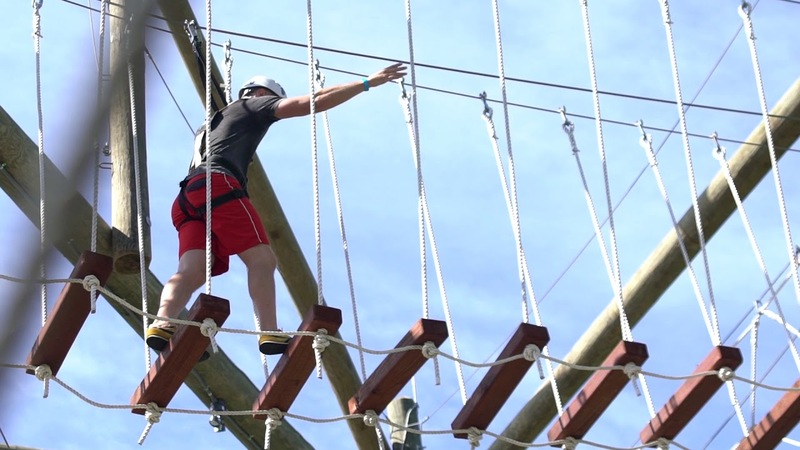 We'll get you all geared up in a harness, helmet & lobster claws before getting you started on our aerial adventure park, where you'll be able to explore 75+ aerial elements including climbing stations & rappelling stations. These elements are broken up into 3 different levels that all vary in difficulty. You can choose to stay on the first level if that's all your ready for, or you can choose to work your way up to the more difficult challenges. It's all up to you, and we love to see you grow in confidence through the season! This season pass is priced at $149. 2019 Season expected to run early March - late November. *We do not offer a season pass that includes the Zip Line Tour. Perfect for Adventurers Ages 7-10 who want to Climb & Swing with an accompanying adult. This season pass will gain adventurers Ages 7-10 season-long access to the Blue Ridge Course, Foothills Course, and Ninja Ground Course with 2 Giant Swing rides included per visit*. These adventurers are typically not tall enough to explore on their own, so they must be accompanied by a season pass holder or a ticket holder who is Age 11+ and can help them navigate. 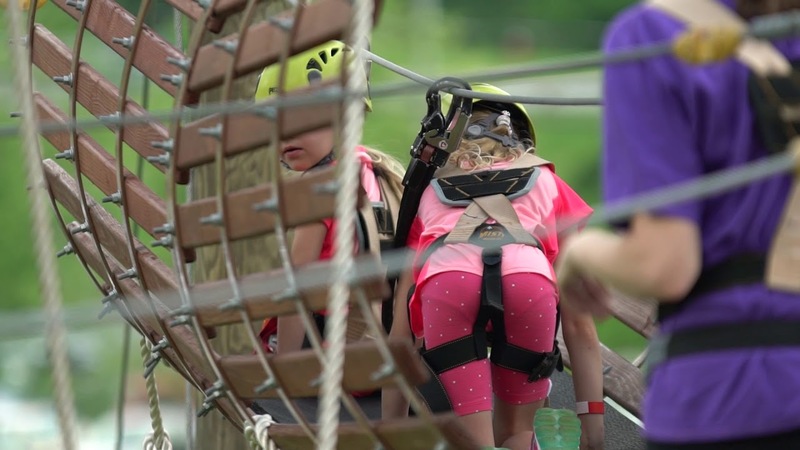 We'll get you all geared up in a harness, helmet & lobster claws before getting you started on our aerial adventure park, where you'll be able to together explore 75+ aerial elements including climbing stations & rappelling stations. These elements are broken up into 3 different levels that all vary in difficulty. You can choose to stay on the first level if that's all your ready for, or you can choose to work your way up to the more difficult challenges. It's all up to you, and we love to see you grow in confidence through the season! This season pass is priced at $129. This season pass will gain your adventurers Ages 4+ season-long access to the Foothills Course and Ninja Ground Course. We'll get your little one all geared up in a harness, helmet & lobster claws before getting them started on our Foothills Course, where they'll be able to explore 13 aerial elements at their own pace, with their feet about 15 feet off the ground. This season pass is priced at $49.